Shell is the captivating and hauntingly beautiful feature debut from Scottish writer and director, Scott Graham. The film evolved from Graham’s short film of the same name and the director managed to successfully secure funds from the UK Film Council and Creative Scotland in order to produce this promising feature. 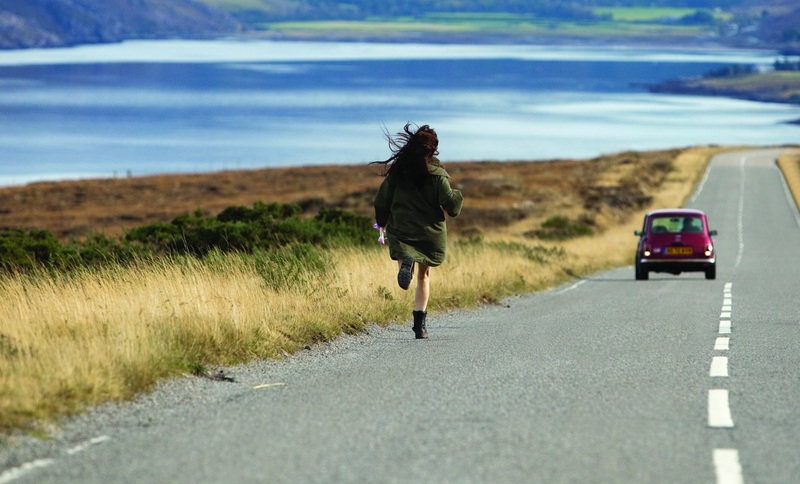 In a small petrol station located in the remote Scottish Highlands, 17-year-old Shell (Chloe Pirrie) is a lonely young woman struggling to have a meaningful relationship with her emotionally distant father, Pete (Joseph Mawle). The two live alone together at the petrol station and Shell's only other human contact comes is her interactions with those traveling through the Highlands, all of whom have a significant impact on her life. Shell struggles to know how to react to the affections of local lad Adam (Iain de Caestaker) and lonely traveller Hugh (Michael Smiley). Yet it is the attention of her father that she really craves; he is cold and distant towards her and spends the majority of his time alone in his workshop. In one memorable scene, Pete returns home late and Shell approaches him, sniffing him possessively and discovers that he has been out drinking. An incestuous element to their relationship is hinted at in the intimacy between the two characters but the tension between Shell and Pete is compelling rather than confrontational. The film uses animal symbolism to explore its female central character. The deer is used to express Shell’s vulnerability but also her development and progression; the shot of a deer trotting off down the road implies Shell’s desire to leave home. Pirrie’s central performance is captivating. She manages to project how insecure and confused Shell is about her own identity. With only a small amount of dialogue to deliver, Pirrie uses her eyes to express emotion. Her face is often blank but her eyes reveal her character’s inner sadness, giving her a hypnotic quality. The performances by Mawle and Smiley are also noteworthy. Both manage to express the inner torment and sadness that these characters have to face in their daily lives. Mawle effectively portrays Pete’s frustration that he is dependent on his daughter and his realisation of this fact leads to an emotional climax. The film draws inspiration from the director’s own passion for cinema. Graham has even described the film as a “roadside movie” and discussed how the Western genre influenced his construction of the film’s narrative. Like the Western, Shell uses the landscape as another character, one that is oppressive and dominating, enclosing the central female protagonist. 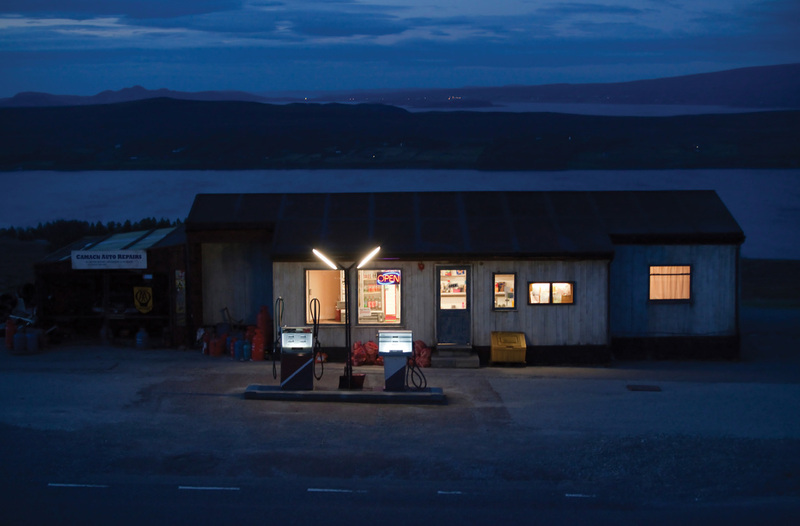 The German Director of Photography, Yoliswa Gärtig, captures the awe and wonder of Scotland’s nature in establishing wide and long shots that reveal the heather-covered highlands and expansive countryside surrounding Pete’s remote rundown garage. Such techniques suggest the enormity of the world Shell will have to face if she is to leave. In contrast, tight framing devices and close ups invite the viewer to empathise with Shell as she is trapped in the claustrophobic and restricted space of the petrol station. An intelligent use of sound contributes to the haunting and eerie film. There is an absence of a musical score and the soundscape consists of the wind howling and other nature sounds, capturing the feeling of loneliness and remoteness. Sound is successfully used to set up the location of the petrol station, to bring the viewer in from the vastness of the wilderness to the closed, confined world occupied by Shell and Pete. The howling wind is replaced by the roar of trucks going by, the creaking of the station’s sign and the hum of neon lights, which help to maintain the uneasy and uncomfortable atmosphere. Shell is visually stunning to watch and, although the narrative is very slow-paced and with little action taking place, the performances are sophisticated and absorbing. The film presents the audience with questions about family unity and the ties that bind an individual to their home, proposing the idea that everyone beside the roadside has a story to tell.